One of the photographs featured in Gamboa's Vidrio exhibit. Photo by Harry Gamboa Jr. 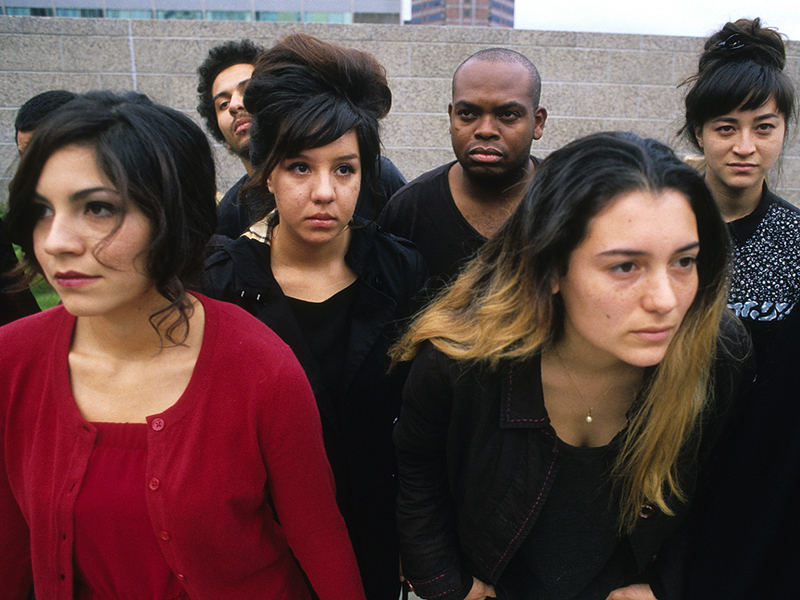 The photographs featured in Gamboa Jr.'s Vidrio exhibit feature his troupe, Virtual Vérité. Photo by Harry Gamboa Jr. 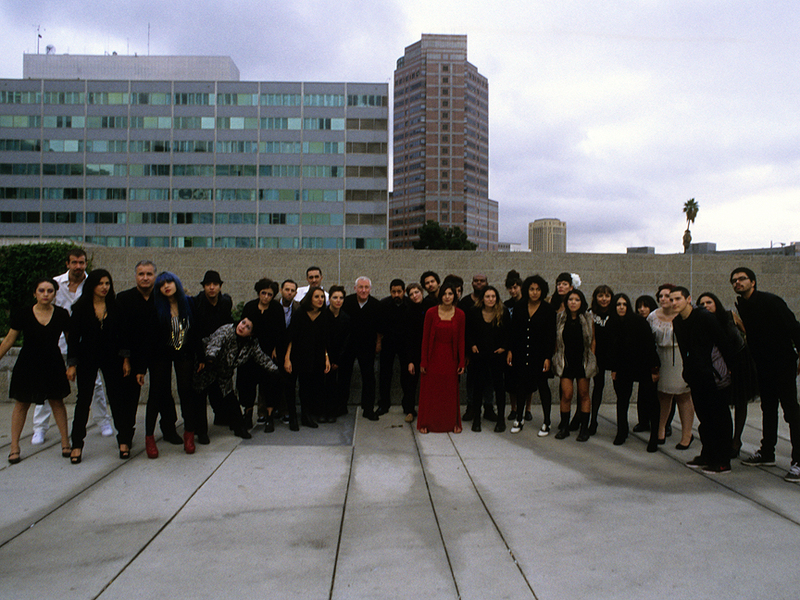 The entire Virtual Vérité troupe at the end of Gamboa Jr.'s Vidrio exhibit. Photo by Harry Gamboa Jr. 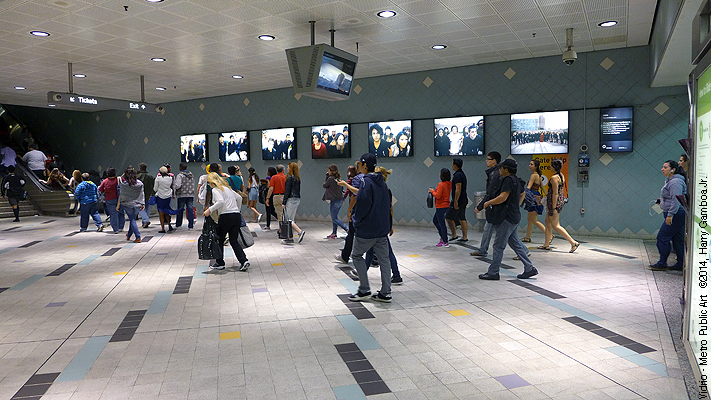 The Vidrio art exhibit in the Hollywood/Highland Metro Red Line Station. Photo courtesy of Harry Gamboa Jr. While the film industry celebrated the art and glamour of the movies during the Oscars ceremony last weekend at the Dolby Theatre, there was another exhibition playing out underground. This wasn’t a celebration of people watching a movie at 24 frames per second, but one of Angelenos looking at themselves one day at a time. 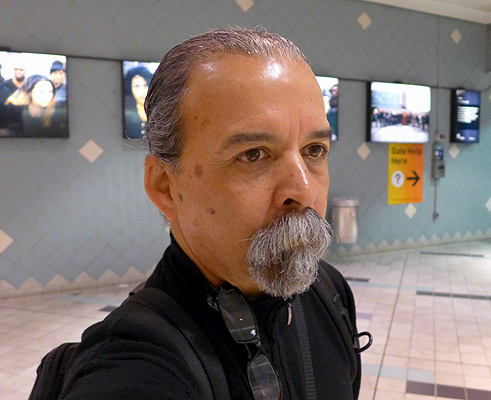 Artist and California State University, Northridge Chicana/o studies professor Harry Gamboa Jr.’s exhibition, “Vidrio,” focuses on seven photographs in light boxes lining the Hollywood/Highland Metro Red Line Station. The works are images of Gamboa’s ensemble troupe, Virtual Vérité, as they take a final bow during what he calls “a compelling visual opera.” The images overlook the throngs of Metro Rail riders as if members of the troupe were there with them — which was part of Gamboa Jr.’s greater goal. Gamboa is no stranger to provocative art. As a founding member of the ’70s and ’80s Chicano art collective Asco, he and his cohorts in the group shook up the the norms of the day using photography, performance art and film to respond to the socioeconomic and political conditions surrounding the Chicano community in East Los Angeles. They caught the attention of people around the world. Gamboa’s work within the group achieved international acclaim. He regularly exhibits his work and speaks about art to groups all over the globe. There was no direct connection made by the Metro Line committee to the back lighting of the photos with the projection of movie images onto a screen, but Gamboa sees the link. He considers “Vidrio” a repudiation of what he believes is Hollywood’s narrow worldview, something he’s been using as a target since his days with Asco. The exhibit will be on display at the Metro Red Line Hollywood/Highland Station through July.